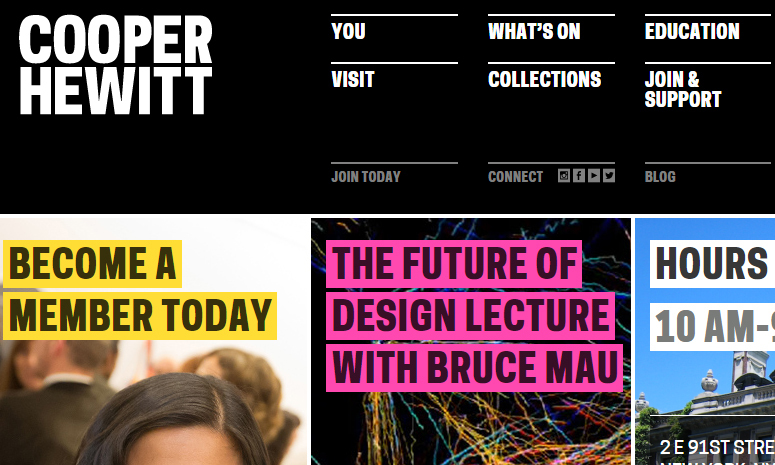 Visiting a design museum is a great way to immerse yourself into the art and design community. This is important because it will make your own designs more rich and full of meaning, with you new and expanded knowledge of design history and culture. Traveling to these museums will give you a great idea of what has been done already and can inspire you to create new and original artwork, that could be in that very same design museum one day! There are so many design and art museums around the world its hard to pick favorites, but based on my experience and location these are 10 I recommend visiting if you are in the United States. We will be sure to post more design museum top lists soon including an international list, and a list of fine art museums which are great to visit as well. List your favorite museums in the comments!